At Chamber College, we guarantee that our high standards and personal interest in your welfare will enrich you both personally and professionally. Whatever the reason behind your decision to follow an English language course and whatever your level, we provide expert tuition to help you achieve your goals. Our varied leisure programme with planned social and cultural events enables you to activate what you learn in the classroom with other students from across the globe. 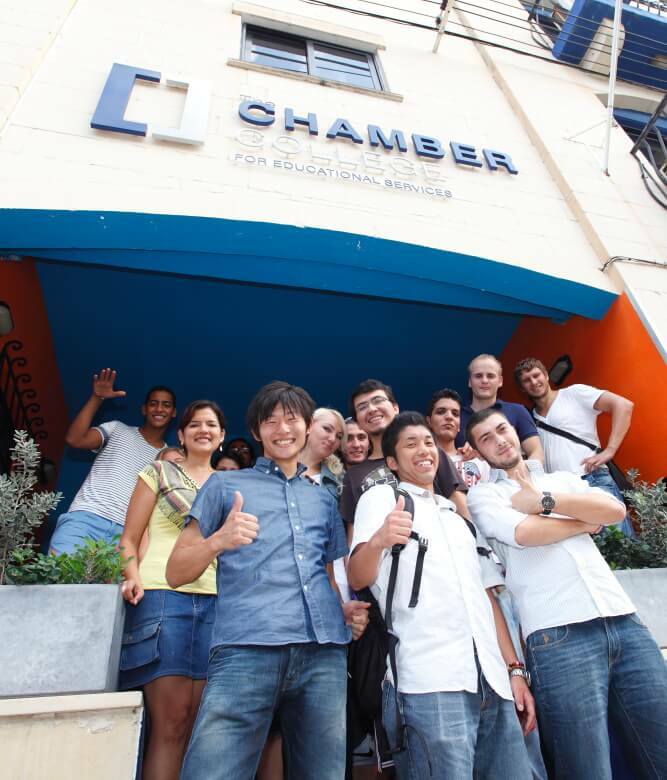 Chamber College is a modern school offering a wide range of English language courses all year round, catering for both adult and teenage students. The school is located opposite the University of Malta sports grounds and a few minutes walk from the Gzira promenade. A 15-minute walk from the school takes you to the neighbouring town of Sliema with its cosmopolitan shopping centres and elegant cafes. We endeavour to improve students’ communicative competence with a specific focus on the four skills, i.e. Reading, Listening, Writing and Speaking. • Particular emphasis is placed on pronunciation as well as both spoken and written discourse. 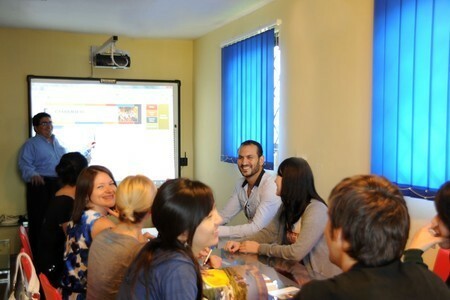 Why study English in Chamber College? In-House Cafeteria (iCafe) to offers to the student cheap prices in food for breakfast and lunch time.